At LEE Building Products we love fire pits. They’re an essential part of the summer and fall and always bring people together with food, fun, and friendship. 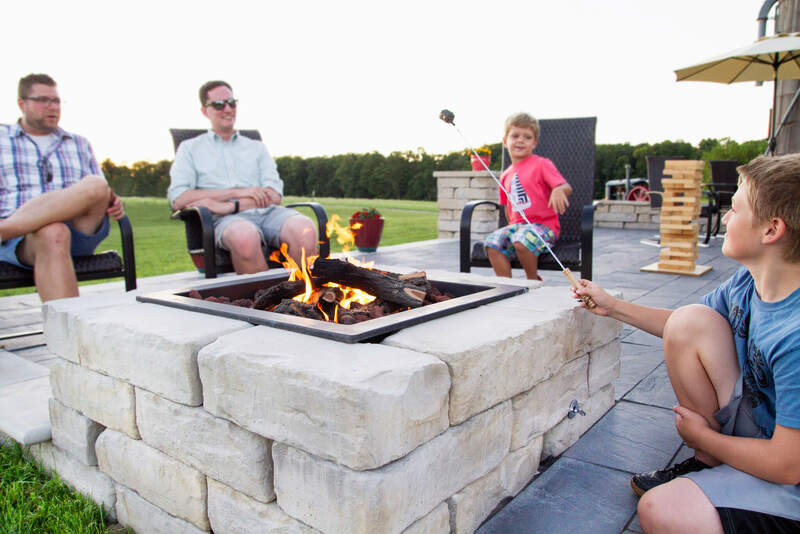 While fire pit safety usually isn’t the first thing that comes to your mind when thinking about summer fun roasting marshmallows, it is an important part of making sure your family and friends enjoy your fire feature to its fullest. According to the Consumer Products Safety Commission, the number of burn injuries has almost tripled in the past decade in the United States with more than 5,300 such injuries reported in the U.S. just last year. These numbers are enough to take fire pit safety seriously and we have a few tips to help ensure you have a fun and safe time savoring the evenings around the flames. Before installing a fire pit, or using a portable one, make sure the location is right. Avoid areas right next to brush and trees where flames and sparks could reach any surrounding branches or leaves. Make sure to remove dead branches and dry leaves from the surrounding area before lighting your fire. Flammable debris around the fire pit can easily catch fire from sparks. Try to avoid using paper or other materials that could fly away from the flames and never use an accelerant like kerosene or gasoline to start or enhance your fire. Establish and communicate clear rules for behavior when around the fire pit especially when children are present. This includes moving or running around the fire pit area, poking or throwing things into the fire, and the how close people should be to the flames. After you’re done with the fire pit for the night be sure the fire is properly extinguished. Coals can often stay hot for up to 12 hours after a fire so it’s vital to make sure you fully put out the fire and coals. Following these safety tips will let you fully enjoy your time using your fire feature. From marshmallow and hot dog roasting to great conversation and watching the flames, fire pits are a great way to share moments with the ones you love and making sure everyone has a safe time should always be part of the evening.